I had a recent client hire me to assist with updates to her home as she planned to put in on the market. Her home was in reasonably good shape; however her realtor suggested that she make some quick improvements to her landscape to get an even better offer or better yet, multiple offers and a bidding war. The very first thing I suggest to enhance the overall curb appeal in San Diego area homes is to stand across the street and review the pros and cons of the home’s appearance, mainly the landscape. Outside of general maintenance, removing unwanted weeds, pruning unkempt shrubs and trees one quick trick is the use of color. Adding a well-conceived grouping or a single decorative container with a brilliant display of blooming plants (typically annuals) can make a huge impact to the average viewer. 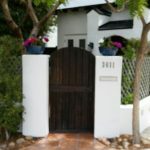 In this scenario, the client had an entry gate with two pilasters and adding cobalt blue bowls with petunias were the first element potential home buyers would appreciate. A local favorite for pottery is Canyon Pottery on Aero Drive. The next spot of color was at the front door. Other plants were added in the small front yard beds as well as a new fresh layer of bark mulch covering the beds. Mulch is such a good thing…..reduces water loss, keeps dust down, adds nutrient to the soil, etc. Other options for ground covering is the use of stone, pebbles or cobbles will give a very clean image at first glance. Two sources for stone are KRC rock and Southwest Boulder. In the backyard, more pots of color, more mulch and new plantings in areas that had become the weed path. Adding throw pillows on a bench, or setting a bottle of wine with two glasses is always a simple and effective way of setting a theme of relaxation or entertaining. 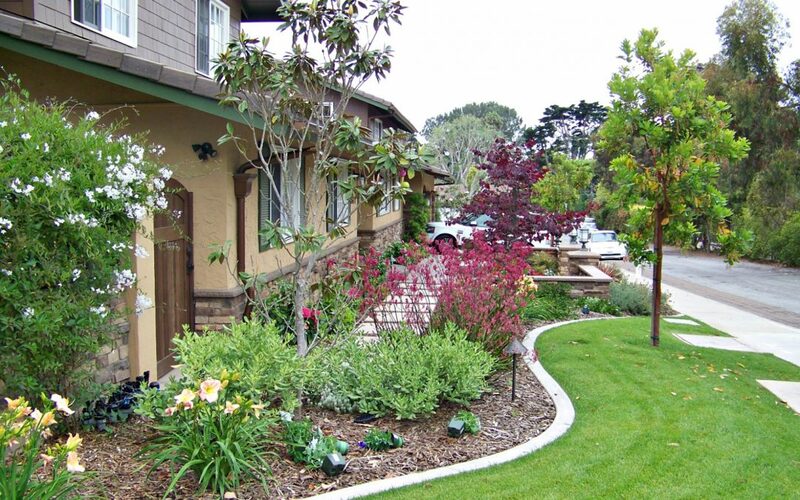 Essentially, curb appeal in San Diego is a 12 month a year endeavor. Spring may be the best season to have that “surefire best yard” on the block look. There may not be as many plants blooming in winter and the dryness of summer and fall takes its toll as well. Most of my clients prefer to stay in their homes and enjoy their landscapes for years to come. 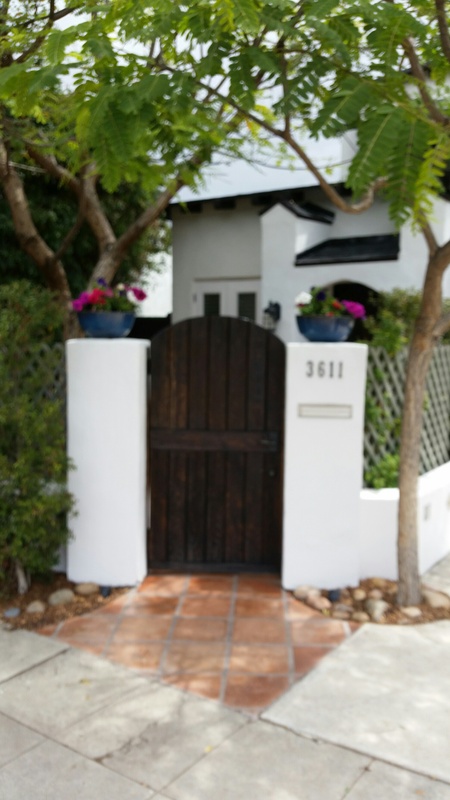 Many simply want to appreciate the effect of artfully creative design to enjoy their own Curb Appeal in San Diego……yard contest or not! For your own landscape update or enhanced curb appeal, contact Letz Design for a consultation today. As for the client with her home on the market, she may reconsider selling as she is so pleased with her landscape updates.